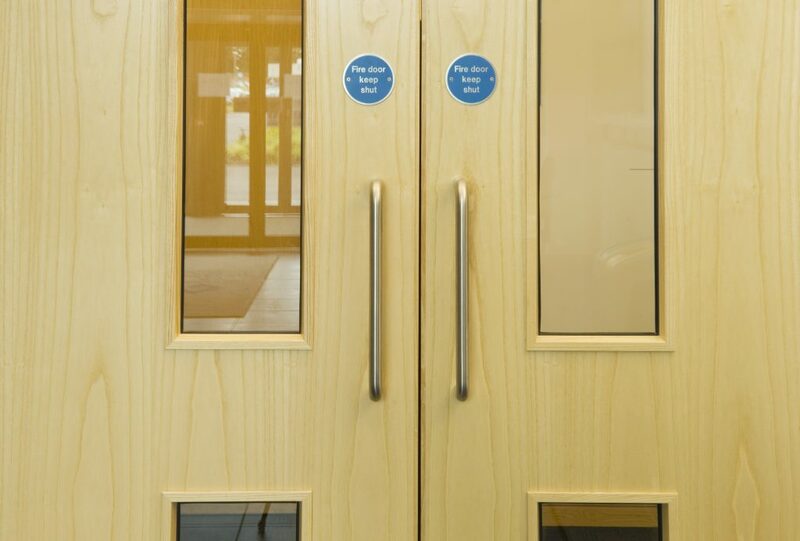 Fire doors perform a vital compartment function and an important aesthetic role in buildings of all types. They are required to reinstate fire protection separation and protect means of escape from fire and smoke. Their correct installation by specialists is vital to their performance. Fireseal have a wide variety of finishes, ironmongery & glazing systems available to choose from. All fire doors, ironmongery & glazing systems fitted by Fireseal are certificated under the CERTIFIRE product certification scheme, are individually labelled and supplied with certification. Having such products fitted by a Fireseal installer provides confidence to all parties in the door’s ability to maintain its designed performance.